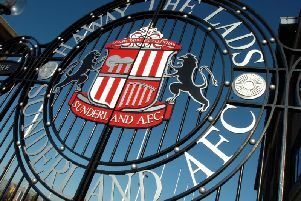 Sunderland are primarily concentrating on the loan market for last-minute recruits on transfer deadline day. The Black Cats have brought in five players so far this month after taking their January spending to £15million over the weekend with the capture of Tunisian international Wahbi Khazri. That will not necessarily be Arsenal defender Mathieu Debuchy. But Sunderland are not finished yet, with Allardyce eager for at least one fresh face before tonight’s 11pm deadline, with a new right-back understood to be the club’s priority. That will not necessarily be Arsenal defender Mathieu Debuchy, despite the ex-Newcastle United’s availability on loan and eagerness to play first-team football to secure his place in the France squad for the summer’s European Championships. Aston Villa are also hoping to land Debuchy, who is one of a number of options Sunderland are considering, rather than the overwhelming favourite. But any further January arrivals at Sunderland are likely to be on temporary deals, with the Black Cats still boasting one domestic loan. If Sunderland are to bring in more than one further face, the club will almost certainly need to offload further first-teamers, with Steven Fletcher a target for West Ham and midfielder Jordi Gomez readily available after falling out of the picture over the last month. Summer signing Adam Matthews could also depart if Sunderland bring in another right-back. However, Sunderland are NOT expected to revive their interest in Swansea forward Andre Ayew, despite intriguing comments from the Ghana international’s agent Mark McKay. “I’m surprised Andre is still at Swansea in a way,” said McKay. Khazri was signed as the alternative to Ayew after Swansea had continued to insist that the 26-year-old was not for sale and had rejected a formal offer from Sunderland. The Black Cats had watched Khazri in action for Bordeaux on several occasions during the transfer window and after the attacking midfielder travelled to the North East on Friday, the 24-year-old quickly wrapped up his £9m move to the Stadium of Light. Khazri netted 14 times in 49 starts for Bordeaux in the French top flight and has penned a four-and-a-half year deal. “I am very happy to play for Sunderland, it is a big team,” he said. “It was amazing (to hear Sunderland were interested) because I wanted to play in the Premier League, it is the best league in Europe. “I am very happy and very excited and I want to play. “We now have three very important games against Manchester City, Liverpool and Manchester United.